Have you ever met a peanut butter maker with a nut allergy? Probably not, since constant allergic reactions would quickly get in the way of his job performance. So far, the bacteria engineered to produce ethanol as biofuel have been the same situation, since ethanol is toxic to most of the bacteria used to create biofuel. Now, however, scientists have identified a new strain of bacteria that is less fussy about toxicity, and could make biofuel production a much more efficient process. To make ethanol, the same substance that makes your beer and vodka martinis alcoholic, specialized bacteria must consume a plant material (generally corn in the United States). They churn out ethanol and sit around in a slosh of it as enough fuel accumulates to use. Escherichia coli are easy to manipulate genetically, which is why they are one of the most commonly used bacteria in biofuel production. But since the product they make keeps killing them, E. coli has limited use in biofuel synthesis. A study that will be published December in the journal New Biotechnology pinpoints Pseudomonas putida as a tougher bacterium that can handle the chemical stress of ethanol production and submersion. While this bacterium’s natural home is in the soil, researchers from Spain’s National Biotechnology Center in Madrid found that P. putida seemed almost as healthy in an ethanol bath. They inserted the same ethanol-producing machinery into both E. coli and P. putida and put them to work. As E. coli was killed by accumulated ethanol, P. putida kept chugging along. The researchers even added extra ethanol to their baths to stress the bacteria further; although both strains struggled, P. putida survived better than E. coli. Soil bacteria have to cope with extreme temperature changes and soil chemical conditions, which could explain P. putida’s resilience. If the team can ensure their process can be ramped up to industrial protection, P. putida could replace E. coli. Biofuel is seen as an attractive ‘green’ alternative to oil based gasoline, as it consumes renewable crops such as corn instead of fossil fuels. Ethanol is currently the most common biofuel, but it must be added to gasoline to work in most cars. 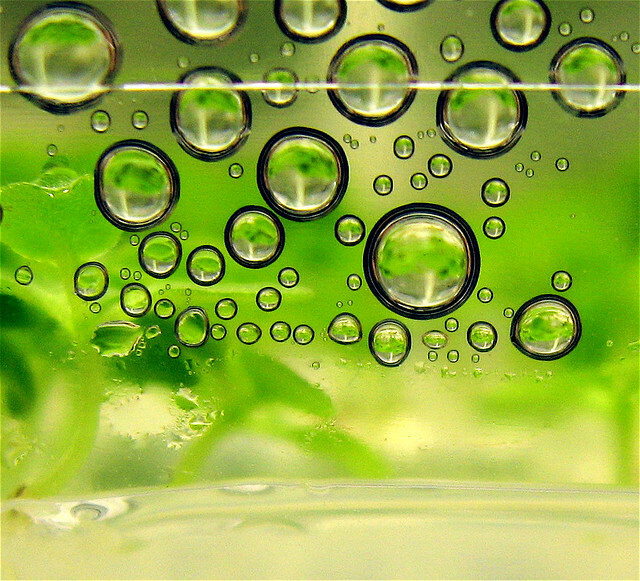 Scientists are already looking into biofuels that don’t need to be mixed with oil at all, such as butanol. If P. putida handles butanol as well as ethanol, biofuel production could become a lot more efficient.